Nowadays women are more empowered than ever to lead busy lives, and juggle highly demanding careers, leaving less time for a personal life. For those trying to become a mother or add to their family later in life, there are more things to consider when trying to get pregnant past 35 years of age. While this trend towards having children later can result in difficulties getting pregnant, below are some considerations that are worth exploring, plus a great solution from First Response™ to help women on their pregnancy journey. Regardless of your age, you can maximize your chances of conceiving each month by figuring out exactly when you ovulate. 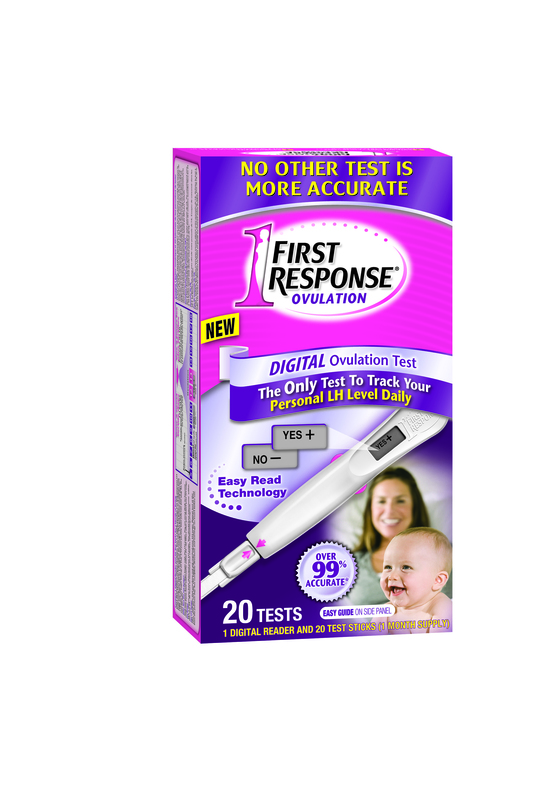 If women are on a serious time crunch, First Response™ can help to better determine their peak fertile days with the Digital Ovulation Predictor Test which detects a woman’s personal luteinizing hormone (LH) surge based on her hormone levels, unlike any other product on the market. Tracking personal LH levels can provide clarity on the optimal time to conceive, helping women get pregnant sooner when there is no time to spare. Get your family started, with help you can trust from First Response.